Menn-Li Lin, M.A., P.T. serves the company as Operations Manager, Financial Manager, and Senior Physical Therapist. 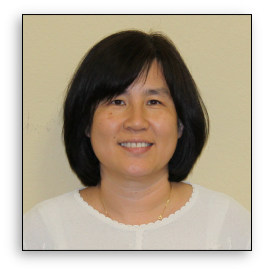 Mrs. Lin received her bachelors degree from the National Taiwan University and her masters degree in physical therapy from New York University, with emphasis on developmental disabilities. Mrs. Lin has achieved the prestigious title of Neuro-Developmental Technique (NDT) Specialist, which involves substantial training in neurological rehabilitation. She brings 25 years of extensive clinical experience in Physical Therapy specializing in Neurological and orthopaedic rehabilitation services offered by our company. She has held such prominent positions as the Chief Physical Therapist at the Manhattan Developmental Center in New York and at the Jen-Chi Hospital in Taiwan. Mrs. Lin has been involved in the care of Central Floridians since 1991.